2009 began with great promise: the exit of the criminal gang that had been running Washington for 8 years, and the emergence of a new administration full of hope and committed to tackling the substantial problems we face as a nation. That promise has been in part fulfilled. The Obama Administration prevented a depression, put an end to the arrogant posturing and jingoism that threatened our our global standing and moral authority in the world, and is on the brink of passing health care reform, which despite its flaws, is the most important addition to our safety net in nearly 50 years. Furthermore, the Administration has made countless regulatory decisions on the environment, banking, and judicial reform that, while falling far short of what is needed, have brought the idea of competent governance back to Washington. By any measure, this was a good year for progressive politics. Of course, the new administration took over in the midst of a deep economic recession and the threatened collapse of the global financial system. Although, the collapse was averted due, in part, to the Obama administration’s timely and forceful actions, unemployment skyrocketed, trillions of dollars of wealth vanished eviscerating the life savings of many ordinary Americans, and we held our nose while Wall St. bankers were rewarded for their incompetence and greed. The economic prospects of Americans have taken a severe body blow, especially in California, where the Yacht Party continues to plunder our human resources, presiding over the collapse of the educational system that is the lifeblood of any modern society. By any measure this was a bad year for the American Dream, which one year of progressive politics cannot restore. 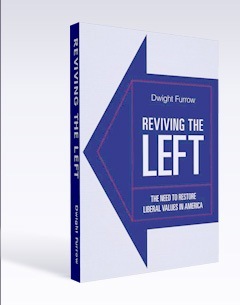 As for the ugly, well, nothing is uglier than the rampant cynicism that grips large swaths of the American public, exacerbated by the ignorant know-nothings who call themselves “conservatives” and the impatient utopians on the left. On the right, the inmates now run the asylum. The Republican Party is the party of “birthers” raging hysterically about “death panels” and “enemies lists” and spouting wild-eyed nonsense about ACORN and Obama’s re-education camps. It is a party in which the leadership honestly thinks a spending freeze is the solution to our economic crisis, compares Obama to the leaders of Nazi Germany, and openly threatens to encourage states to nullify Federal laws or secede from the union. On the left, fuming perfectionists threaten never to vote again because of some compromise of principle perpetrated by the allegedly weak-willed Obama. Their belief in the magical powers of the President would be touching in a six year old, but is mere hypocrisy for someone claiming to be part of the reality-based community. The world is a saner and safer place today than it was a year ago. We should be thankful for that while mindful of the real misery wrought by decades of conservative ideology. In 2001, Sami al-Hajj, a Sudanese cameraman working in Afghanistan for the Arab news organization Al-Jazeera ,was imprisoned by the U.S., tortured at Bagram Air Force Base, and sent to Guantanamo where he languished for seven years before his release last year. He was never charged with a crime and his interrogation consisted largely of questions, not about terrorism, but about Al Jazeera. The United States thus engaged in the illegal abduction and torture of a journalist. This story had received little attention in the U.S. media until last week when Brian Stelter of the New York Times profiled al-Hajj, now a correspondent for Al Jazeera. Using the standard definition of American journalism, resolving conflicting claims and stating the actual truth is a violation of “journalistic objectivity.” Journalists only neutrally pass on claims, not report which ones are true. That’s why Al Jazeera’s doing so with regard to the Bush administration’s conduct is so offensive to The New York Times. This despite the fact that the Times routinely accuses other nations of engaging in the human rights atrocities. It seems that such reports lack objectivity only when the perpetrator is the U.S.
Americans love to believe that the differences in perception between themselves and the Muslim world are due to the fact that Americans are rational, well-informed, free and advanced, while those in predominantly Arab or Muslim countries are propagandized, irrational, primitive, conspiratorial, and misled…. Yet the al-Hajj case shows how often exactly the opposite is true. That the U.S. Government imprisoned Muslim journalists without any charges of any kind is, as Stelter says, very well known in the Muslim world. Indeed, as Rachel Morris wrote in her superb piece for the Columbia Journalism Review about this case, “al-Haj has become a cause celebre in the Arab world.” The Muslim world is very well-informed about what the U.S. Government did — and continues to do — with regard to the due-process-free imprisonment of Muslim journalists. By stark contrast, the American public is, as Stelter notes, almost completely ignorant of what our government has done in this regard. And why is that? Because the same media that fixates endlessly on the imprisonment of American journalists by other countries all but blacked out any reporting on what we did to al-Hajj (again, other than columnist Nicholas Kristof, who is commendably as concerned by the American imprisonment of foreign journalists as he is when other government do it to ours). This episode is further evidence that the job of corporate media in this country is to manufacture consent for policies that serve the interests of big business and the Pentagon, policies that brought us the Iraq war and the meltdown of our financial system. The world would be a better place without corporate media. Posted by Nina Rosenstand in Culture, Ethics, Nina Rosenstand's Posts, Philosophy of Literature. Remember when children’s books weren’t allowed to contain anything imaginary? At least according to recommendations of child psychologists. We’re talking about the 1970s and well into the Eighties. No fairy tales allowed, no tooth fairy, no Santa, and above all no imaginary friends, because one wouldn’t want children to grow up with a bunch of illusions that life could never measure up to, would one? So instead they wrote children’s books about parents divorcing, Fluffy the dog dying, and other realistic in-your-face topics, to train kids for more in-your-face adult hardship. Oh joy! That wasn’t much fun, was it? And I suspect that magical thinking just never went away, it just went underground—and resurfaced in graphic novels. So for a while we’ve been used to Superheroes being part of the Collective Unconscious of kids. But now we even hear from psychologists that it is downright healthy for kids to not only be exposed to fantastic tales, but even to make up stories themselves. Imaginary friends are to be encouraged and welcomed into the family! Apparently, children’s cognitive powers thrive by being exposed to, and learning to be comfortable within an imaginary universe. Psychologists like Jacqueline Woolley, a professor at the University of Texas at Austin, are studying the process of “magical thinking,” or children’s fantasy lives, and how kids learn to distinguish between what is real and what isn’t. The hope is that understanding how children’s cognition typically develops will also help scientists better understand developmental delays and conditions such as autism. For instance, there is evidence that imagination and role play appears to have a key role in helping children take someone else’s perspective, says Dr. Harris. Kids with autism, on the other hand, don’t engage in much pretend play, leading some to suggest that the lack of such activity contributes to their social deficits, according to Dr. Harris. …It is important but not necessary for parents to encourage fantasy play in their children, says Dr. Woolley. If the child already has an imaginary friend, for instance, parents should follow their children’s lead and offer encouragement if they are comfortable doing so, she says. Similarly, with Santa, if a child seems excited by the idea, parents can encourage it. But if parents choose not to introduce or encourage the belief in fictitious characters, they should look for other ways to encourage their children’s imaginations, such as by playing dress-up or reading fiction. For a narrative ethicist like myself this is of course fun stuff: psychologists advocating magical story-telling as an enhancement of social skills! That’s what narrative ethicists call a moral thought experiment. All over the world, raconteurs of children’s stories have always engaged in such mind experiments, but it is encouraging to see such an activity being promoted by psychologists. However…there’s got to be more to the study than that. Exactly how, and when does the child learn the difference between what’s real and what isn’t? Where is the built-in reality check? How far is the encouragement supposed to go? And is there an upper age limit? Are we supposed to engage in magical thinking into adulthood? (Which of course brings up the whole question of religion, and numerous anthropological studies.) This could be the flip side of the austere no-fairy-tales attitude: an indiscriminate acceptance of fantasies and magic, and I’m already beginning to yearn for stories like “When Mom and Dad Split Up.” Storytelling as a cognitive/ethical device has to include a measure of moderation, and a clear understanding that fantasy only “works” when contrasted to reality. And the studies referred to surely must include just such an understanding—it’s just not apparent from the article. Be that as it may, there is another aspect that fascinates me: the similarity to the old discussion between Plato (who discouraged an interest in fiction) and Aristotle (who encouraged it). Arguments that were presented 24 centuries ago are still valid today: Plato’s concern that exposure to emotional fiction (in the theater) can make the audience forget the all-important self-control provided by rationality, contrasted with Aristotle’s enthusiasm for the moral and psychological cleansing provided by a good, emotional drama. But both Plato and Aristotle lived in a world where moderation (Maeden Agan) was a moral and aesthetic ideal. So if we go down the Aristotelian path and encourage an immersion in dramatic fiction we should remember that he never meant for it to replace our sense of reality, but to enhance it. Some imagination is good, and even necessary in order to understand other minds, and other possibilities. Too much of it is not a good thing! There is a good deal of controversy about whether the Copenhagen accord on climate change is a step forward or a step back. But there is no doubt that the negotiations were messy. Copenhagen was a disaster. That much is agreed. But the truth about what actually happened is in danger of being lost amid the spin and inevitable mutual recriminations. The truth is this: China wrecked the talks, intentionally humiliated Barack Obama, and insisted on an awful “deal” so western leaders would walk away carrying the blame. How do I know this? Because I was in the room and saw it happen. ….Even George Monbiot, writing in yesterday’s Guardian, made the mistake of singly blaming Obama. But I saw Obama fighting desperately to salvage a deal, and the Chinese delegate saying “no”, over and over again….Here’s what actually went on late last Friday night, as heads of state from two dozen countries met behind closed doors…. It is becoming increasingly clear that China was a big obstacle, a point that has not gotten much attention in the press. But the U.S. also lacks a coherent policy on climate change. There is lots of blame to go around. Posted by Dwight Furrow in Culture, Dwight Furrow's Posts, politics. This is not the most pressing of issues but the context is interesting. I have over the past couple of months been watching DVDs of Star Trek: The Next Generation, a show I missed completely in its run of 1987 to 1994; and I confess myself amazed that so many conservatives are fond of it. Its messages are unabashedly liberal ones of the early post-Cold War era – peace, tolerance, due process, progress (as opposed to skepticism about human perfectibility). But surely the proper conclusion to be drawn, then, is that being an ethically upright and generally virtuous person is, however surprising this result may be, consistent with being tolerant, peace-loving, even with upholding due process. And there is no particular difficulty to the trick of being in favor of progress while being skeptical about human perfectibility. I say this is a semi-serious point because I think, for some conservatives, the main objection to a somewhat vaguely conceived set of liberal values really is a strong sense that they are inconsistent with a certain sort of hardassery in the virtue ethics department. End of story. But then Star Trek TNG ought, by rights, to be the ultimate anti-conservative series. At least for the likes of Potemra. I think Picard’s attractions stem from his characteristic bit of dialogue. Whenever his subordinates came up with a good suggestion about how to handle an emergency, Picard would sternly and austerely command “make it so”. That commanding, stern austerity is enough to send shivers up any authoritarian spine. It is that one phrase that has so enraptured conservatives. One might think this an excessively simplistic explanation. But in this context that is a feature not a bug. It is a shame when otherwise intelligent people fall prey to one of the favorite rhetorical ploys of the ID [Intelligent Design] conmen, namely, referring to one of the best-established theories in the natural sciences–the theory of evolution by natural selection–as “Darwinism” and referring to those (essentially all biologists, and almost all educated people) who accept the theory as “Darwinists.” The phraseology is no accident on the part of the ID shills: it is meant to suggest that a discovery about regularities in the natural world made originally by a man named Charles Darwin, and since confirmed and elaborated by thousands of other scientists, is something like the ‘ideology’ of an individual, so that “Darwinism” and “Darwinist” should have the vaguely pejorative connotation that, at least in American public culture, “Marxism” and “Marxist” have. The theory of evolution is a well-confirmed, scientific fact precisely because it is not the ideology of an individual but the product of thousands of independent researchers. It is not something that Darwin dreamed up. He was the catalyst only and the evidence supporting the theory has far surpassed anything available to Darwin. It ain’t over till it’s over, but unless Joe Leiberman decides to move the goal posts again, it looks like the Democrats have enough votes to approve health care legislation. The compromises necessary to win the votes of a few conservative Democrats have opened a yawning chasm within the Democratic Party between those who hail the plan as a giant leap forward for progressive ideals and those who are bitterly disappointed about what could have been. The bill establishes a fundamental principle that liberals have been advocating for decades—that all citizens have a right to health care, regardless of pre-existing conditions or the ability to pay. This is a rare opportunity—I don’t see how a genuine progressive could vote against such a bill. But having said that, there is a sense in which the bill offers no real reform and progressives are right to be upset about our inability to replace a fundamentally broken system. The structure of the private, employer based insurance system is still in place. And the lobbying power of the insurance companies made sure of it—they stand to profit handsomely from 30 million new customers. But such is the nature of political change in our system. When Medicaid was passed it was unavailable to many low-income adults; the original Medicare bill didn’t cover people with disabilities, the original social security program excluded agricultural workers, government employees, railroad employees, etc. and offered no cost of living adjustments. In order to achieve any significant social change, liberals must constantly battle to improve programs—but the programs first have to be written into law before they can be expanded. [Y]ou accept compromises and then keep on working to build more political power. You do it by contacting members. You do it by urging friends and colleagues to contact members. You do it by donating to and volunteering for good candidates. You do it by turning out and voting for the better candidate in the race even when that candidate is disappointing. You do it by urging viable candidates to mount risky primary challenges against incumbents who don’t reflect the real possibilities of their constituency. You do it by staying engaged, and working hard. I think this is an excellent bill, all things considered, but whether you agree with that or not the most important thing is what does the progressive community do going forward to enact even better bills in the future. I agree; progressive voices calling for a defeat of the bill are delusional. The issue that ought to have progressives riled up is not the bill itself but the process by which the bill was created, which reveals the utter corruption at the heart of our political system. The wholesale bribery which we call “democracy” was on view. The insurance companies made out like bandits with millions of customers who are now mandated to purchase insurance and no competition or price controls that would limit insurance company exploitation. Most of the bill was negotiated in secret with lobbyists and their pawns in Congress calling the shots, supported by the always supine media who praised the so-called “centrists” as genuine pragmatists rather than corporate whores. What seems to be in tatters is Obama’s promise to change the culture of Washington. Of course, it is not obvious how that culture can be changed (without a wholesale change in the make-up of the Supreme Court which has persistently enabled the Washington cleptocracy with its rulings on commercial speech). Change requires legislation and, with a Republican Party in full-dress, nihilist regalia, Obama had little choice but to play ball with corporate shills like Lieberman and Ben Nelson. So going forward, while we try to mend the defects in the health insurance system, we should devote more attention to finding some way of mending defects in our democracy—apparently elections aren’t sufficient. Posted by Dwight Furrow in Dwight Furrow's Posts, Ethics, politics. The question of whether we will have progressive health care reform or a new subsidy for the insurance companies comes down to whether the odious Joe Leiberman (Independent, CT) can be cajoled into supporting a public option or something very similar to it. Yesterday, Leiberman seemed to pull the plug on that possibility, saying that he now opposes the Medicare expansion that he has supported in the past. The health care reform debacle illustrates once more the near impossibility of getting a liberal bill through the Senate. Can’t liberals be just as stiff-necked as Lieberman? Sure, they could. But liberals members do have an incentive to compromise—the tens of thousands of people who die every year for lack of health insurance. The leverage that Lieberman and other “centrists” have obtained on this issue (and on climate change) stems from a demonstrated willingness to embrace sociopathic indifference to the human cost of their actions. The moral bankruptcy of so-called “centrism” becomes more apparent everyday but few seem to notice.